On August 26, crews began work on demolishing two abandoned buildings at Race and Henry Streets, located a block north of Findlay Market. The site, which is adjacent to Rhinegeist Brewery, will be transformed into a hub for maintenance and operations for the Cincinnati Streetcar. A former meat packing plant was the first to be razed. The building dated back to 1875 and had a storied history including manufacturing horse saddles and printer rollers during the city's earlier days. Before its acquisition by the City of Cincinnati, the vacant building was recently a sign of blight, attracting vandals, squatters, and drug usage to the premises. 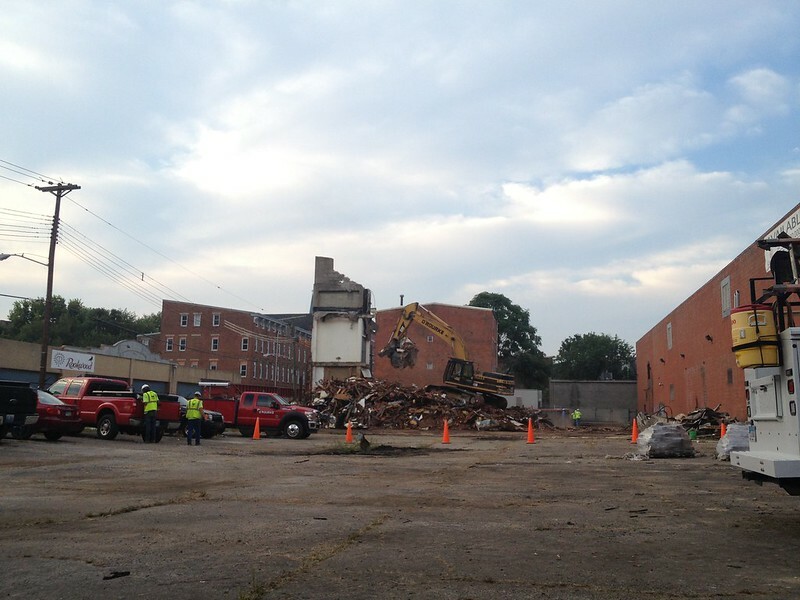 The first of the two buildings to be removed, the meat packing plant at 1917 Race Street was leveled within three days of starting demolition. 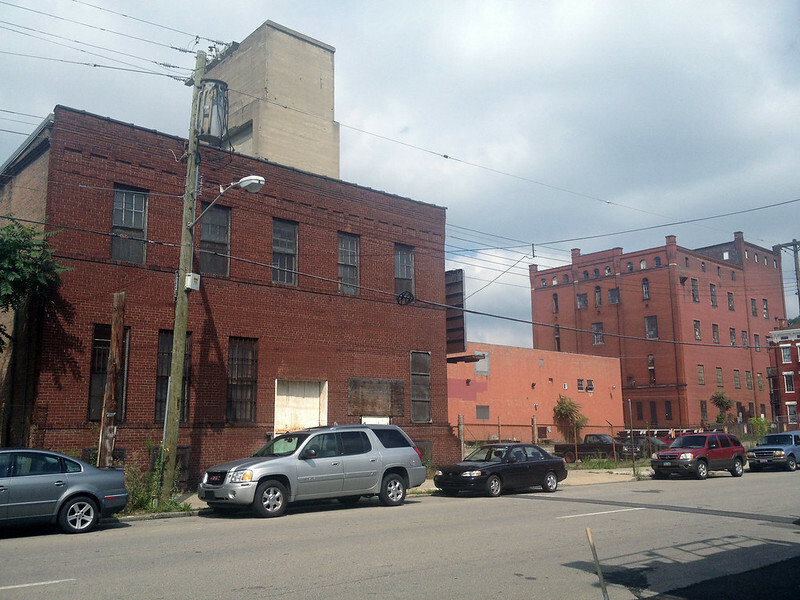 will be demolished to build the Cincinnati Streetcar Maintenance and Operations Facility (MOF). Panorama of Race Street prior to demolition of the two buildings. 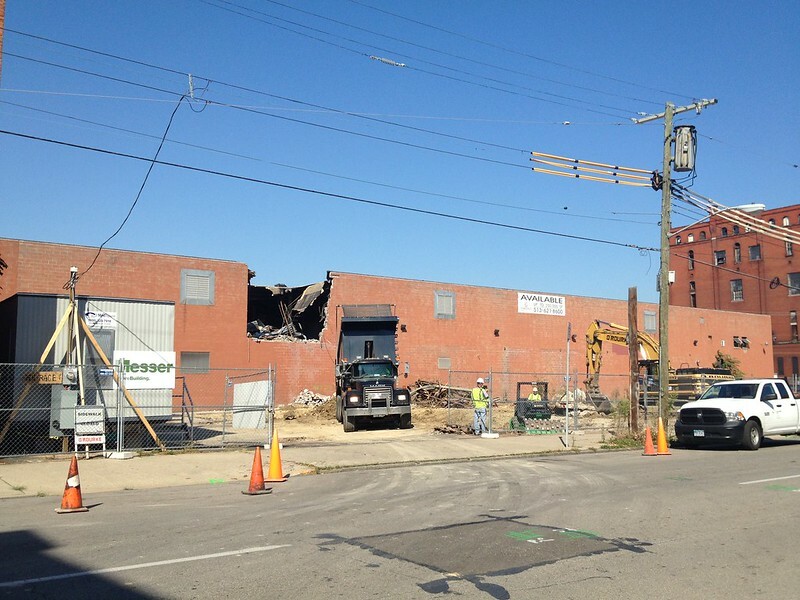 Demolition of the meat packing building began on August 26, 2013. Week 2: Demolition begins on the orange cinderblock building. 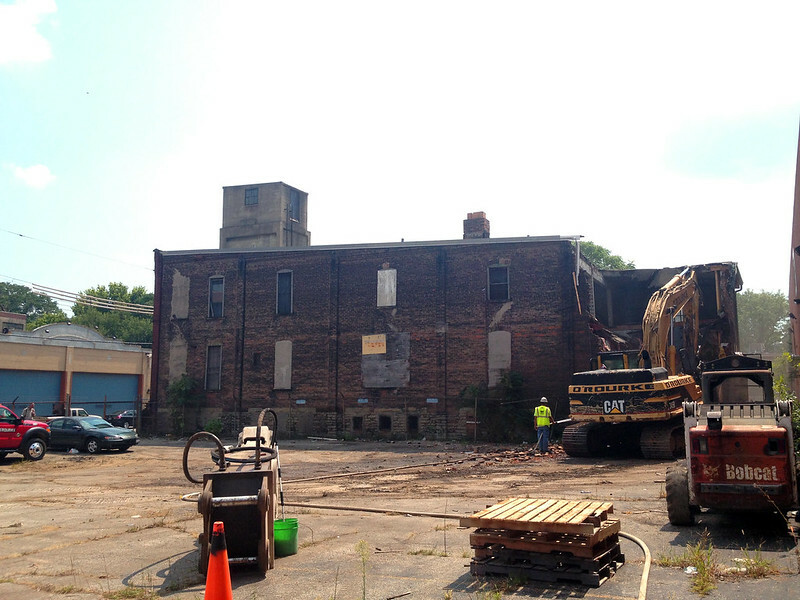 According to construction contractor Messer/Prus/Delta Railroad (MPD), demolition is expected to last six weeks, with the majority of the time dedicated to tearing down the larger, sturdier industrial building located behind 1917 Race. Little history is known about this orange cinderblock building, which was erected in the 1960s and contains a vast subbasement that was used as a parking garage. The demolition project marks the most visible sign of progress on the Cincinnati Streetcar to date. The Cincinnati Streetcar Maintenance and Operations Facility (Streetcar MOF) is slated for completion in March 2015. It will feature a 12,500 square-foot facility with staff offices, two tracks and room for expansion as the system grows. Currently, the city has purchased five vehicles for the streetcar project, but the maintenance facility will be able to accommodate twelve. 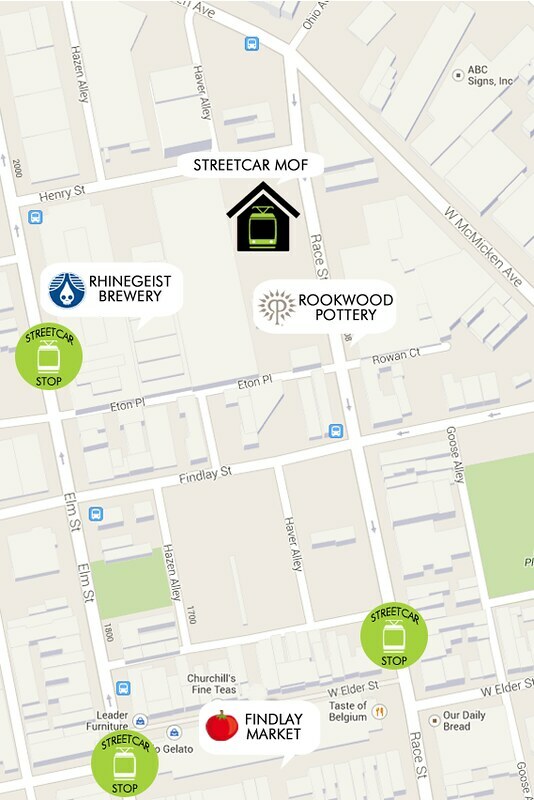 The first streetcar line from The Banks to Findlay Market will be open for passenger service in Spring 2016.